Throughout someone’s life, some of the most memorable moments come with being surprised. Getting engaged, a surprise birthday party, being whisked away on a romantic getaway for an anniversary, and don’t forget a vacation just because. The time is now to create a lasting memory, let us help make your celebratory escape a lifelong highlight to remember. 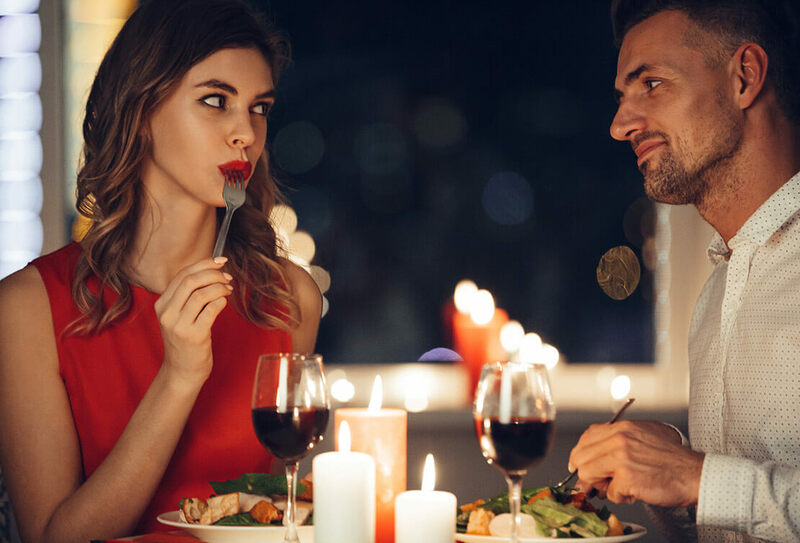 Book your romantic getaway in Cedarburg, WI at our downtown bed and breakfast inn, and enjoy exploring these top romantic places in Wisconsin together. Tour, taste and enjoy! Cedar Creek Winery is a vibrant winery housed in a woolen mill building that was built in the 1860s! The stone wine cellars are great for barrel aging their wine. 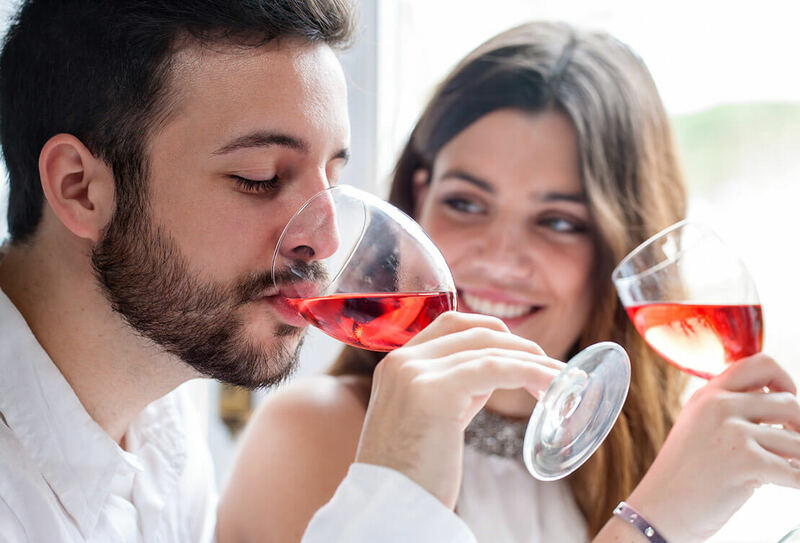 They offer daily wine tasting and guided winery tours. This is a must for wine enthusiasts! This wonderful brewpub was formed in 1999. They offer four beers available year-round and four delectable seasonal brews. On certain evenings they have live music. 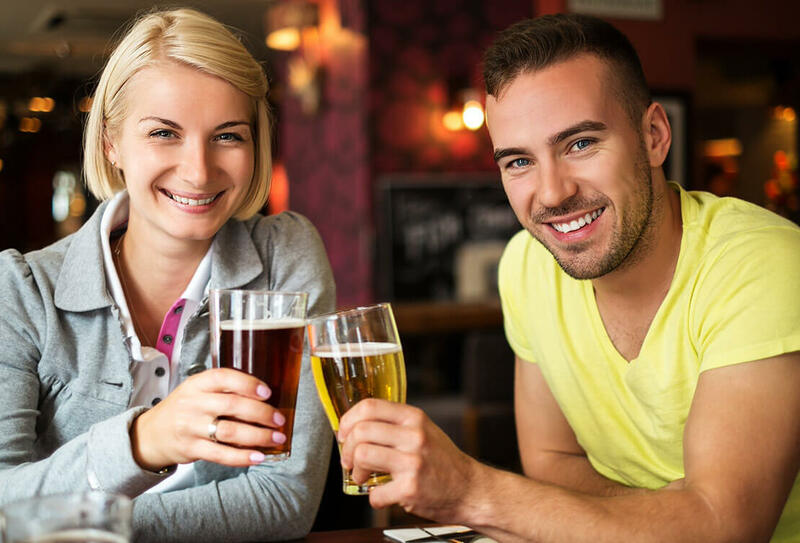 Beers you can enjoy depending on the season are: Hefe-Weiss, Porter, Imperial Mai-Bock, Vintage Ale, Pacific Coast Lager, Oktoberfest and an Indian Pale Ale. Located on the bank of Cedar Creek. The Bog is an Arnold Palmer designed course, exceptional county courses include Hawthorne Hills, and Mee-Kwon. Baehmanns Golf Center offers a par 3 course as well as miniature-golf. 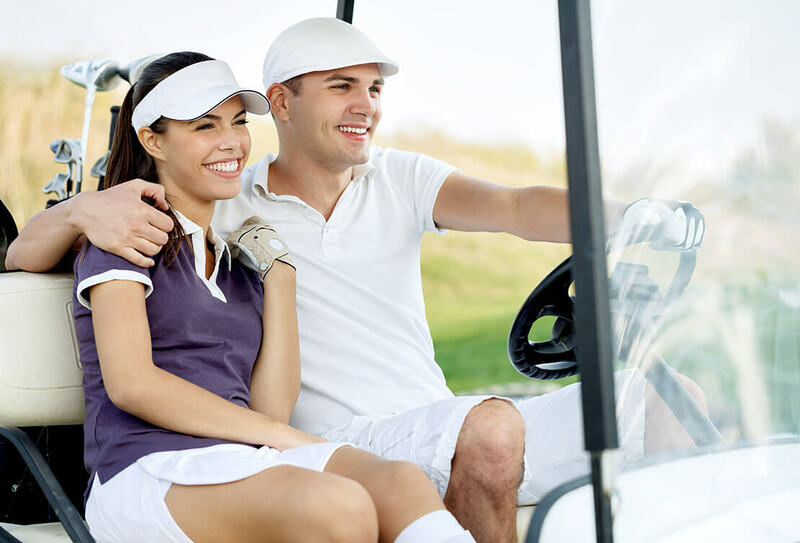 There are also some exceptional golf courses in Grafton – Fire Ridge Golf Club and Edgewater Golf Club. The 30 mile long trail includes breathtaking views of the hardwood woodlands, farmlands, the Milwaukee River, Lake Michigan and wetlands to name a few. It offers a wonderful adventure outdoors and is especially beautiful in the fall! The Inn is located midtrail with access directly to the west. After a day exploring all that makes Cedarburg, a favorite small-town destination, embark on a culinary lovers excursion. Historic downtown Cedarburg offers wonderful dining options. You can walk from our boutique hotel to the exceptional restaurants, bakeries, brew pubs, and wine tasting. 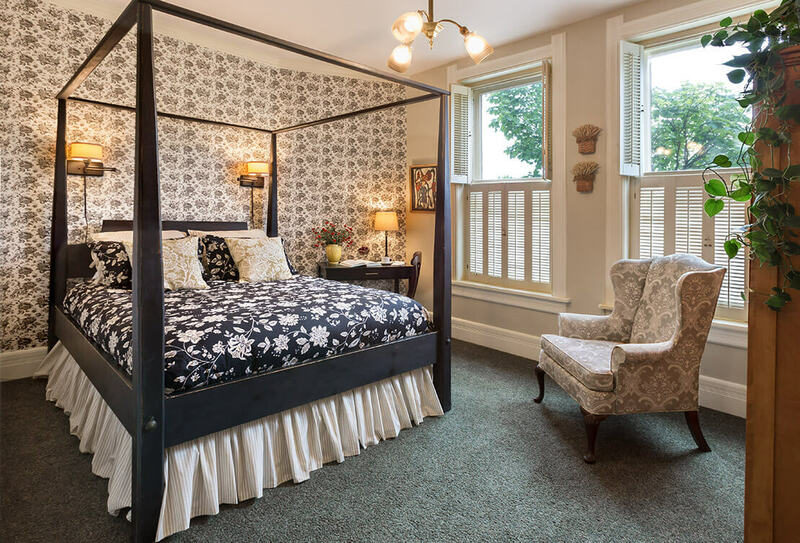 Our top rated Wisconsin bed and breakfast inn located near Milwaukee, offers romantic rooms, an award winning expanded continental breakfast, and an afternoon wine and cheese social hour, both featuring local Wisconsin products. We’re conveniently located in the downtown Historic District of Cedarburg, WI and are within walking distance to several restaurants, shops, galleries, museums and festivals. Have something else in mind? Perhaps a cake, balloons, roses or more? We are perfect for a memorable anniversary, birthday, romantic engagement and “just because”. 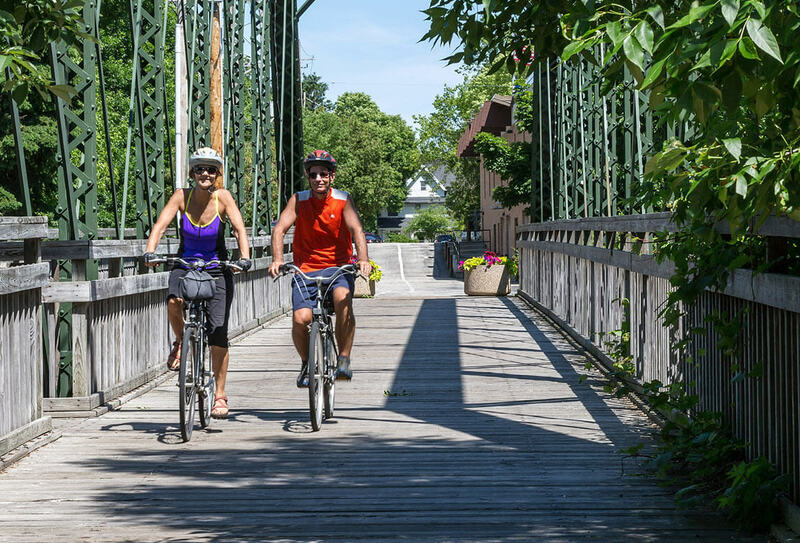 There is romance, adventure & great culinary delights in and around Cedarburg. Contact us at (262) 375-3550 and we can help you customize your celebration getaway.